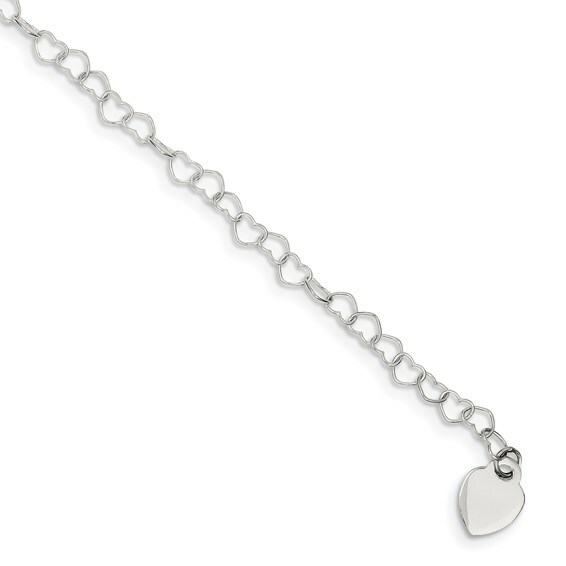 Sterling silver fancy heart link bracelet has a small heart charm at one end. Bracelet length: 7.5 inches. Heart charm size: 11mm x 8mm. Fancy lobster clasp. Weight: 1.75 grams. Import.